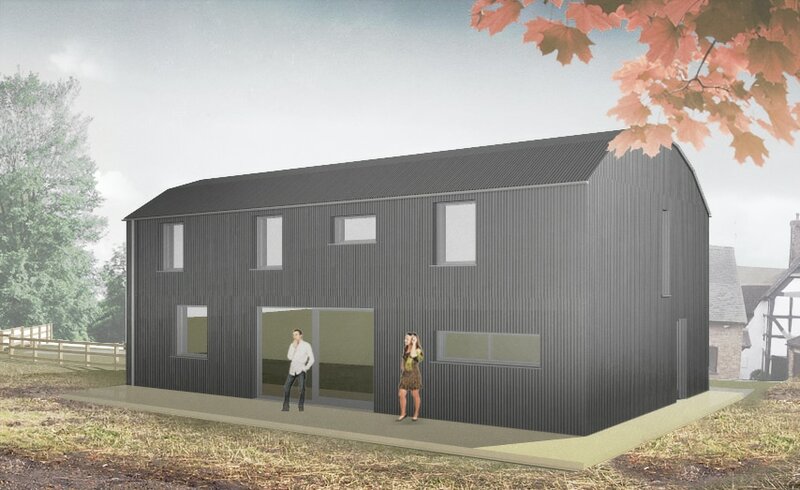 This project seeks to convert a redundant steel-framed dutch barn near Bromsgrove into a new energy-efficient dwelling. The site is located in the Green Belt, so the design aims to retain the agricultural character of the existing building externally. Internally, the aim is to create a contemporary family dwelling. The conversion itself adopts construction techniques to minimise the loss of heat through the existing steelwork, and to maximise air-tightness and thermal insulation throughout. It is hoped that when completed, the conversion will achieve the Passivhaus Institute’s EnerPHit Standard.